Should We Give Prisoners a College Education? How Will Stephen Colbert Shed His Character for the 'Late Show' Chair? 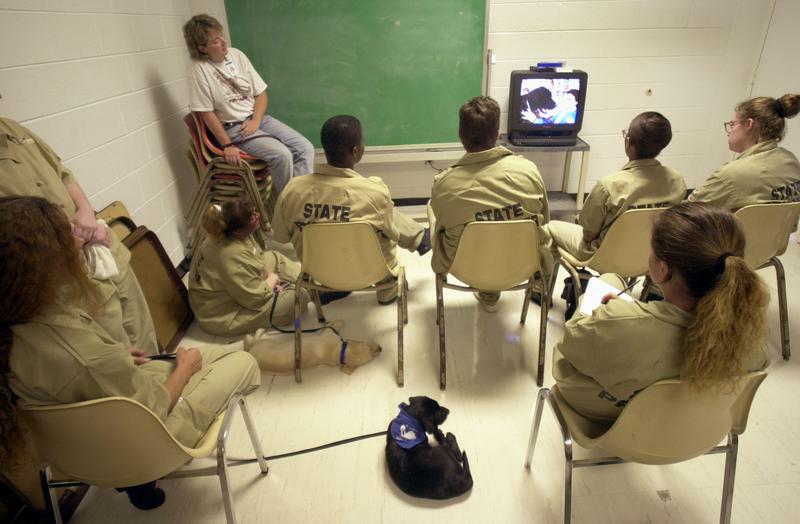 Georgia prison inmates go through classroom time with their Labrador puppies during guide dog training at Metro State Prison August 27, 2002 in Atlanta, Georgia.